The 2018 GMC Terrain is completely new for this model year, with a ground-up redesign bringing it into a new generation. It’s now slightly smaller and lighter in weight than the previous-gen, but improves greatly in drivability, comfort, and efficiency without losing passenger or cargo room. The 2018 Terrain comes with three engine choices, four trim levels, and seating for up to five. 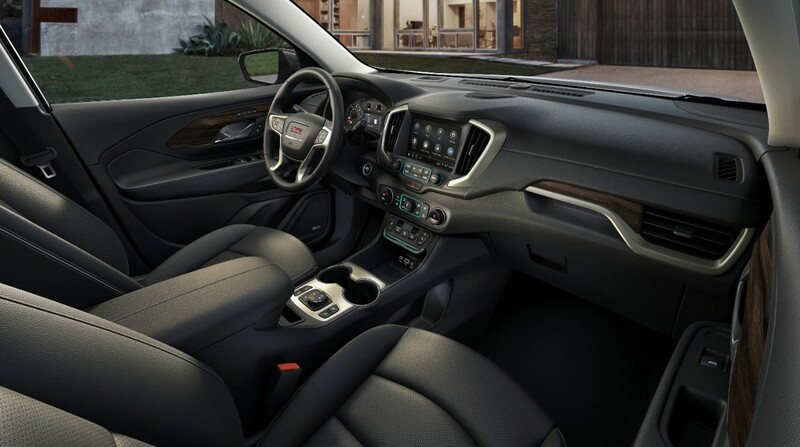 The GMC Terrain sits in a middle ground between the standard model options and the luxury marques. The ill-defined “premium” segment is usually where GMC and Buick models lie, sitting between the lower-end Chevrolet and higher-end Cadillac offerings. Few other brands are found here, most using a standard and a luxury arm with trim levels for each that fall into this in-between “premium” segment instead. The redesign for the 2018 GMC Terrain brought several changes. Most notable of those are the three engine options and large number of trim levels for this new GMC. 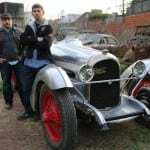 These include a base model four-cylinder, an upgraded turbocharged four-cylinder, and a four-cylinder turbodiesel option. The 2018 Terrain otherwise sees improvements in size, maneuverability, and interior roominess that help keep it up front as a good buy. Add in its excellent infotainment and smart design and things get really good for the GMC compared to most rivals. SL – As the base trim for the 2018 Terrain, the SL comes with the 1.5-liter turbocharged engine, 9-speed automatic transmission, and front-wheel drive. Keyless entry/ignition, cruise control, 17-inch alloy wheels, a leather-wrapped steering wheel, a rearview camera, four USB ports, two 110-volt power outlets, a 7-inch touchscreen (w/ Bluetooth, Auto/CarPlay), satellite radio, and OnStar with Teen Driver. The only upgrade option are two color choices beyond standard white and a tow kit. The SL is largely meant for fleet purchases. SLE – Upgrades from the SL by adding an auto-dimming rear mirror, a compact spare tire, and interior trim updates. 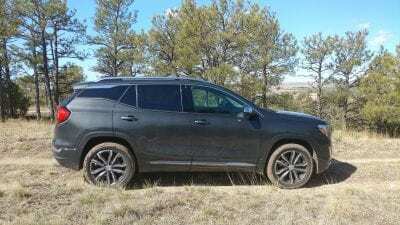 Options are plentiful and the SLE is considered the consumer-grade base model for the Terrain. 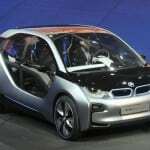 Upgrades come largely in packages, which include items such as a power-adjustable driver’s seat, dual-zone automatic climate, roof rails, more USB ports, driver aids and safety features, and a panoramic sunroof. 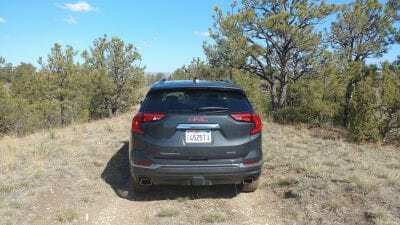 The Terrain SLE can also be optioned with the 2.0L turbocharged gasoline engine or the 1.6L turbodiesel engine. SLT – This trim adds leather upholstery and many of the upgrade options from the SLE as standard equipment. Upgrades can include advanced safety equipment such as forward collision warning and mitigation, lane departure warning, etc. 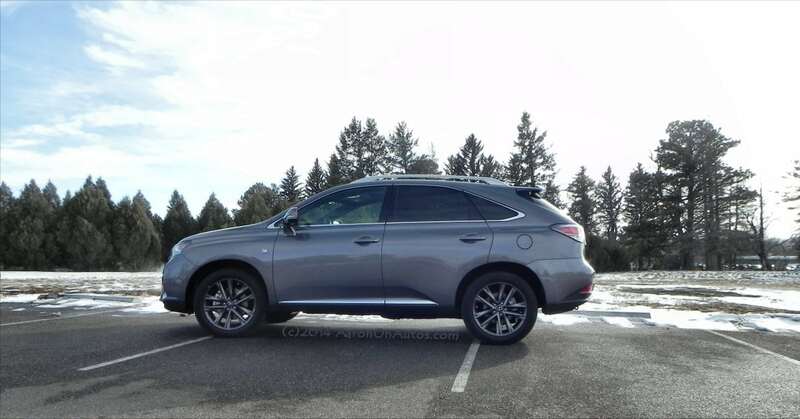 Plus more convenience options like a power liftgate and a heated steering wheel. The 2.0L turbocharged gasoline engine and 1.6L turbodiesel engine are also an upgrade option for the SLT. Denali – This highest trim level for the Terrain comes only with the 2.0L gasoline turbo engine. The Denali includes all of the options from the SLT and adds Denali-specific trim points and add-ons, such as 19-inch alloy wheels and chrome exterior accents. A few options include advanced safety systems like surround-view cameras and automated parking. Heated rear seating and ventilated front seating are also available, as is a wireless charging pad for smartphones. 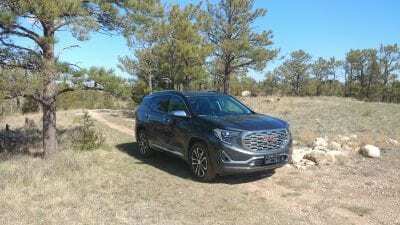 The 2018 GMC Terrain sees several changes to its exterior, but all are subtle rather than huge. The flat-nosed front grille remains, but is a little less accented with the grille being somewhat smaller and less emphasized. This reduces the truck-like look of the previous-gen Terrain without removing it or pushing towards a more contemporary “car-like” crossover design. Going with that smaller grille is a more steeply raked windscreen, a lightly tapered roofline, and sportier overall shape. The blackened, “floating roof” rear pillar helps add to this upscale look for the 2018 Terrain. 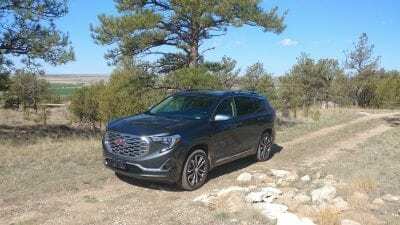 Inside, the 2018 GMC Terrain has a more upscale appeal compared to the previous-gen. Spacious, comfortable seating, lots of legroom and headroom, and roomy seating for five is the general takeaway. Design-wise, the Terrain is more premium than it was before, with less obvious borrowing from the lower-end Chevrolet Equinox beign seen. Cargo space in the Terrain is now 63.3 cubic feet with the rear bench folded and 81 cubes with the front passenger seat folded. That latter being an unusual and surprisingly useful trait in the Terrain. 29.6 cubic feet are found behind the second row, a goodly amount of space for the segment. Also present in the Terrain is the new IntelliLink infotainment interface, which is one of the best in the business right now. The 7-inch touchscreen in the base model offers Bluetooth connections, Apple CarPlay, and Android Auto as standard. OnStar WiFi with 4G LTE is available by subscription and there are four USB ports in the base model. The upgraded screen is 8-inches in size and adds two more USB ports plus a lot of goodies and apps. The 2018 Terrain has three engine choices. The base engine is just barely enough to get the crossover moving and does a good job in town, but struggles at higher speeds and with any kind of passenger or cargo load. 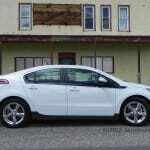 It’s fuel economy is rated at 26 mpg in the city and 30 mpg on the highway. We really like the 2.0-liter turbo-four upgrade option, which is rated at 22 mpg in the city and 28 mpg highway. This is a sprightly, but not overdone engine that provides plenty of power for the Terrain. It’s confident and does well, with only a slight amount of turbo lag on the takeoff. 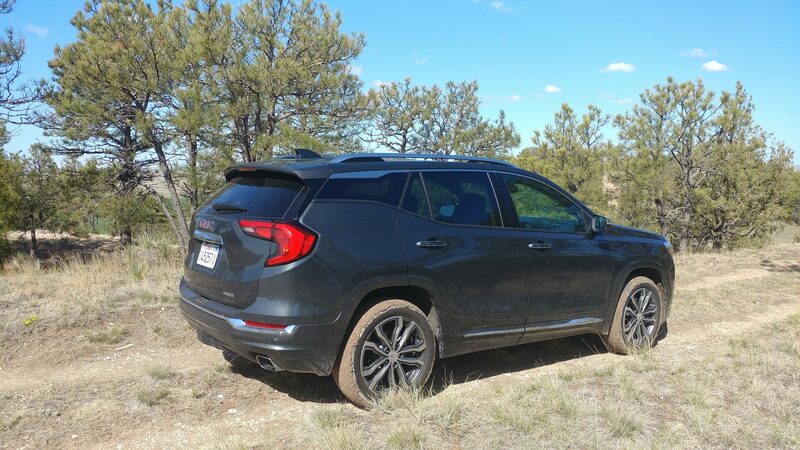 This engine pairs well with the Terrain’s nimble design and good drive quality. The turbodiesel option is a good choice as well, though we only drove it briefly. It’s rated at 28 mpg in the city and 39 mpg highway, which are great numbers even when compared to hybrid options from other makes. There aren’t a lot of competitors for the 2018 GMC Terrain, given its unusual status as a premium model. The Terrain’s chief rival is sister company Buick’s Envision, which is a close competitor worth comparing. The Buick has a more contemporary design, but is otherwise much the same as the Terrain in terms of overall qualities. Other rivals include top-tier trim points for the Toyota RAV4 and Hyundai Tucson. These compare to the mid-grade (SLE/SLT) trims of the Terrain, but are generally more expensive. The same can be said of the Ford Escape, but that one in particular has offerings commensurate with the Terrain’s trims all the way across. Excellent tech and refinement for the price being paid. Lots of curb appeal and useful versatility. 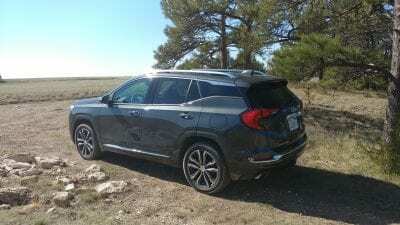 Good engine choices for the Terrain, including an unusual diesel option. Cargo space not as versatile as in some rivals. Diesel option spendy compared to hybrid variants from others. 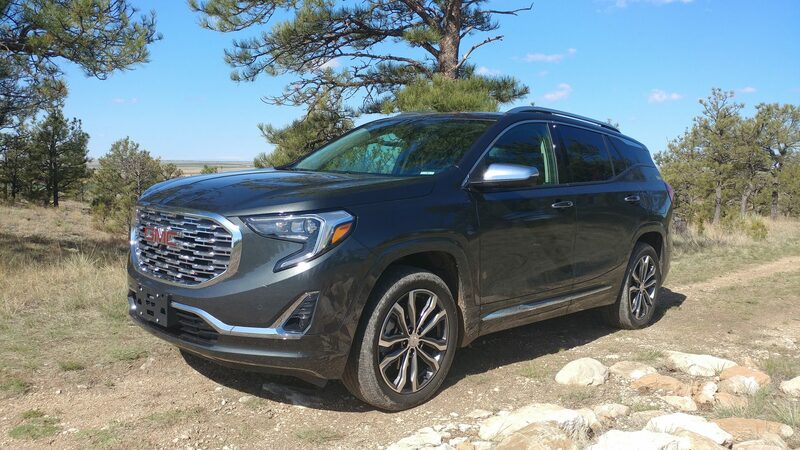 The 2018 GMC Terrain offers a lot to the discerning buyer without being overly expensive or too terribly luxurious. 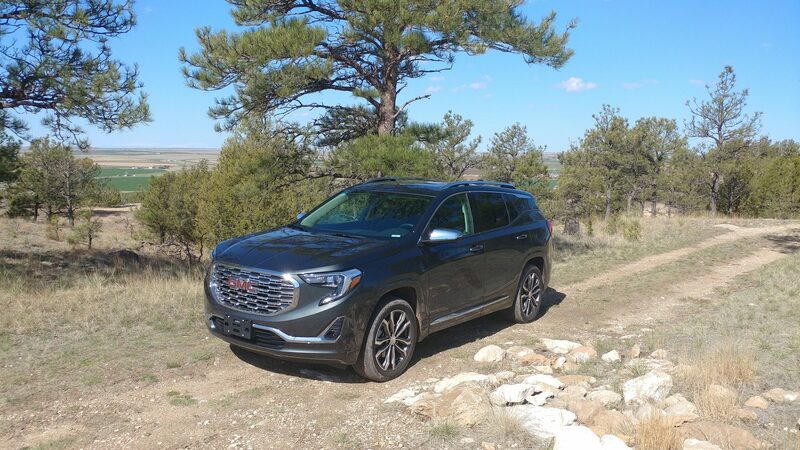 There are a lot of good reasons to consider a vehicle like the Terrain and the GMC hits all of those reasons perfectly in one package. With its diversity of engine choices, useful versatility, and great drive quality, there’s little reason not to consider a Terrain. The 2018 Terrain was a manufacturer’s press loan for about a week. 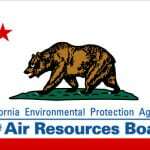 During that time, various passenger and cargo loads were carried in everyday driving for a total of about 240 miles.